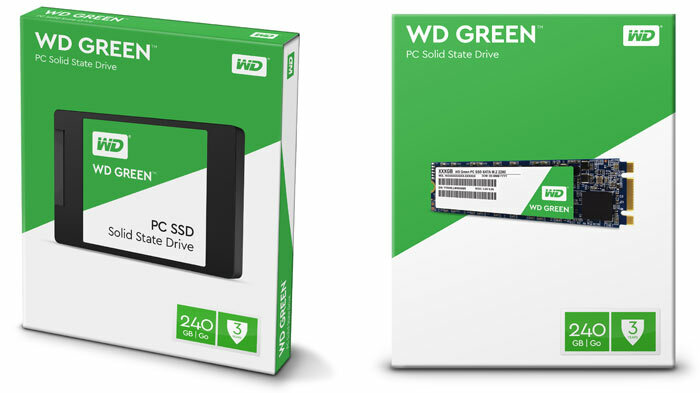 Western Digital has launched its first own-branded SATA client SSDs as part of its WD Blue and WD Green product lines. SanDisk's acquisition by WD completed less than six months ago and it looks like this is the first foray of the newly acquired tech under the WD brand name. A senior WD executive said that the new SSDs have been introduced due to "significant demand" from resellers and customers. 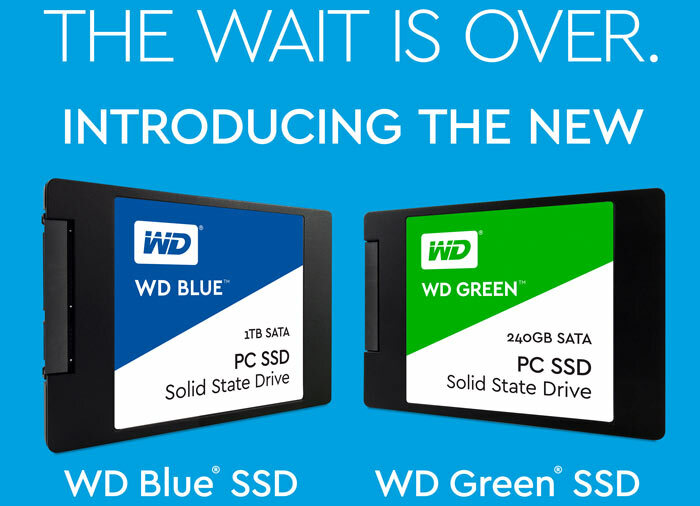 Whichever you choose, WD Blue or WD Green, it is promised that you will achieve "near-maximum speed," for SATA drives plus best-in-class endurance and MTTF and WD Functional Integrity Testing (F.I.T.) Lab certification. If you upgrade to one of these SSDs from an HDD you should benefit from noticeably quicker boot times, increased program responsiveness, plus reduced power usage and lower heat waste generation. As listed above, the WD Blue SSDs are available in a variety of capacities in both 2.5-inch/7mm and M.2 2280 form factors. 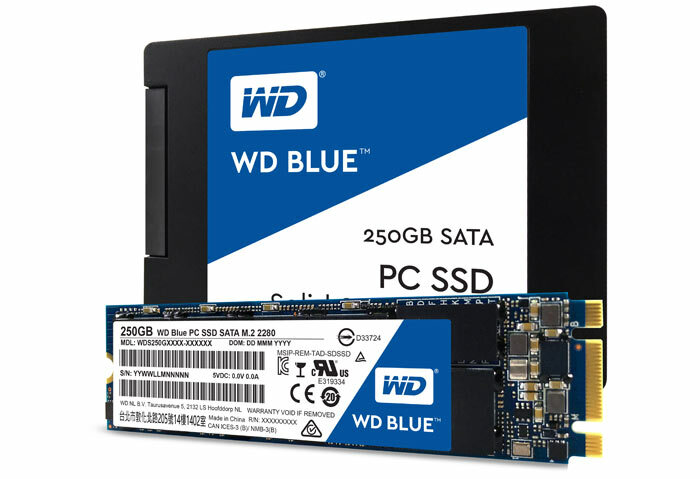 The WD Blue SSD offers up to 545MB/s and 525MB/s sequential read and write speeds, and endurance up to 400TBW. These 'Green' drives deliver ultra-low power draw which is great for portables but the read/write performance is a notch down from the Blue range, and the endurance rating is several notches down. WD Green features sequential read and write times of up to 540MB/s and 405MB/s and endurance up to 80TBW. Both WD Blue SSDs and WD Green SSDs are available immediately from the usual resellers and are protected by a 3-year limited warranty. Wow, it took a very long time for a HDD manufacturer like WD to make an SSD! Uhm.. what about the SiliconEdge Blue series WD launched 6 (!) years ago..?! As for the “new” WD Blue… it uses TLC NAND (yuck) just like the Sandisk X400 it's based on and it's a sub-par performer in the price class. Not really worth bothering with..
Just SATA, when the world seems to be moving to NVMe?